ClearCorrect® braces use a series of clear aligners to move teeth into place instead of relying on wires and metal brackets. 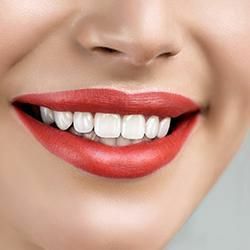 The aligners look similar to a full retainer and are made of a clear and comfortable plastic. By refraining from scratching their surface and taking care of them, aligners will appear virtually invisible when worn. We can show you how to keep your aligners in perfect condition during the treatment process at Sharma Dental Center. An impression of your gums and teeth are used to create the aligners. 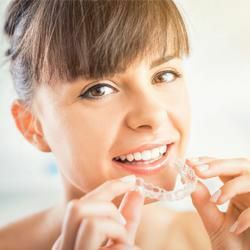 Once received, the lab will create a series of aligners that begin with the current position of your teeth and steadily move them until they are perfectly straight. 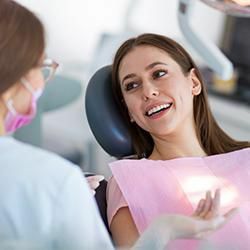 The patient will wear each aligner for a period of about four to six weeks. The patient will then replace the old aligner with the next one in the series. The aligners work by placing pressure on particular teeth to gradually move them for a more comfortable experience. Your teeth will move from a status of crooked to perfectly straight by wearing all of the aligners in the series. 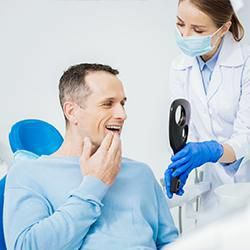 So that you do not have to visit our Dublin dentist office every time that you need to switch the aligners out, the aligners are given to you at the beginning of the procedure. 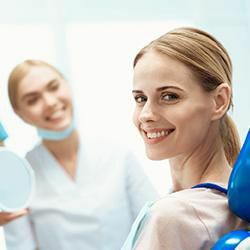 This will allow you to spend much less time in the dental chair than you normally would when wearing traditional metal braces. To be sure, traditional metal braces are very effective at treating misaligned jaws and straightening teeth. 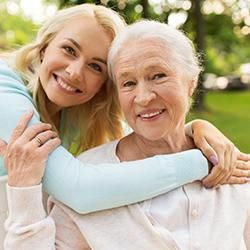 Although traditional metal braces are much more comfortable than they were in the past, they are unfavorable to many and very noticeable to others. With the rubber bands, wires, and brackets, traditional metal braces can have a negative impact on the way a person feels and looks. A lot of people discover that traditional braces are distracting and do not fit into a hectic or professional lifestyle. Concurrently, metal braces are oftentimes difficult to keep clean. Food can become lodged in between the brackets, necessitating a special floss to remove the tiny bits of food. At Sharma Dental Center, we can help patients who are wearing braces receive the appropriate treatment without the need to dramatically change their diet or skip out on some of their favorite treats. Although it is only temporary, this process can be frustrating and inconvenient. 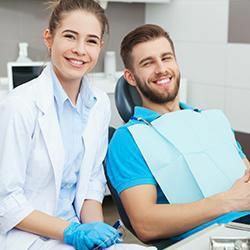 Given the regularity of food becoming lodged, people wearing braces are required spend much more time brushing and flossing throughout the day. ClearCorrect® is by far a more convenient option than other methods used for straightening a person’s teeth. Patients actually extract the aligners themselves when they are eating, so there are no restrictions placed on which foods you can eat. Also, patients do not have to fret about something becoming lodged in the brackets or the embarrassment of looking awkward while eating. Patients wear ClearCorrect® for a period of at least 22 hours per day, leaving ample time to enjoy a business meeting, lunch, or a romantic dinner without metal braces ruining his or her confidence. This process allows patients to maintain their present day lifestyle without any further restrictions being placed. Another great advantage of ClearCorrect® braces in comparison to traditional ones is that patients can remove the aligners while playing a musical instrument, sports, or singing in the choir. We as dental professionals recommend that athletes wear a protective mouth guard during a game or practice. With traditional braces or other teeth-straightening products, this can present an issue. With ClearCorrect®, patients can remove the aligners in order to wear the mouth guard. If you are a person who lives in the Dublin area and plays sports on a regular basis, we warmly invite you to schedule a special consultation to see just how much easier it is to continue wearing a mouth guard when wearing ClearCorrect® to straighten your teeth.